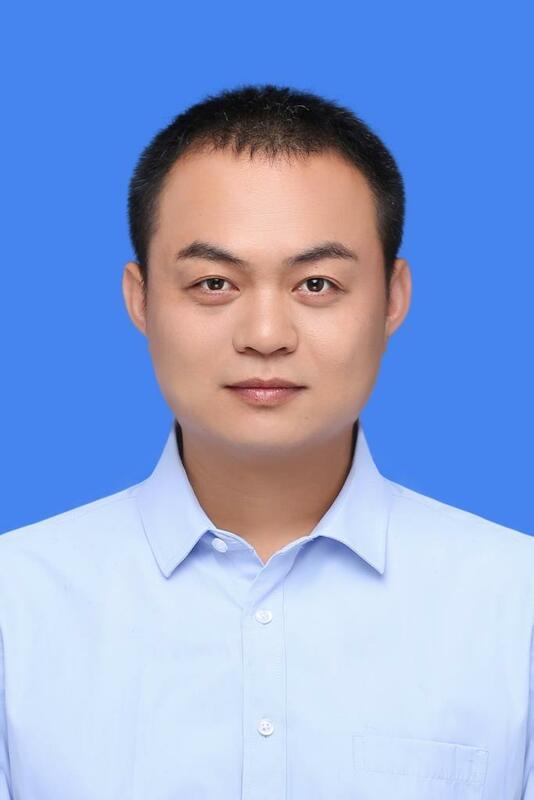 I am an associate professor of College of Computer Science and Technology, Nanjing University of Aeronautics and Astronautics. I obtained my BS degree in Computer Science from Nanjing University in 2008, and got my PhD degree from the same university in 2014 under the supervision of Prof. Guihai Chen. From Aug. 2011 to Aug. 2012, I was a visiting scholar at the College of William and Mary, hosted by Prof. Qun Li. I'm interested in wireless sensor networks, vehicular networks, RFID system, smartphone system, and cognitive radio networks. Xiaojun Zhu, Bing Chen, Muhui Shen, Yanchao Zhao. Pengyuan Cao, Xiaojun Zhu*(corresponding author). Xiaojun Zhu, Fengyuan Xu, Chiu C. Tan, Qun Li, Guihai Chen. Xiaojun Zhu, Guihai Chen, Shaojie Tang, Xiaobing Wu, Bing Chen. Pan Wu, Xiaobing Wu, Guihai Chen, Mengfan Shan, Xiaojun Zhu. Lijie Xu, Xiaojun Zhu, Haipeng Dai, Xiaobing Wu, Guihai Chen. Pan Wu, Guihai Chen, Xiaojun Zhu*(corresponding author), Xiaobing Wu. Xiaojun Zhu, Xiaobing Wu, Guihai Chen. Mengfan Shan, Guihai Chen, Dijun Luo, Xiaojun Zhu, Xiaobing Wu. Yifan Zhang, Gexin Yu, Qun Li, Haodong Wang, Xiaojun Zhu, and Baosheng Wang. Xiaojun Zhu, Qun Li, Weizhen Mao, and Guihai Chen. Xiaojun Zhu, Xiaobing Wu and Guihai Chen. Fengyuan Xu, Xiaojun Zhu, Chiu C. Tan, Qun Li, Guanhua Yan, and Jie Wu. Xiaojun Zhu, Xiaobing Wu, and Guihai Chen. "Refining Hop-count for Localisation in Wireless Sensor Networks." International Journal of Sensor Networks, 12(4), pages 232-243, 2012. Huda El Hag Mustafa, Xiaojun Zhu, Qun Li, and Guihai Chen. "Efficient median estimation for large-scale sensor RFID systems." International Journal of Sensor Networks, 12(3), pages 171-183, 2012. Xiaojun Zhu, Dijun Luo, and Guihai Chen. "Proximity List: RSSI-assisted Relative Localization in One Dimensional Wireless Sensor Networks. "(in Chinese) Journal of Software, 20(zk), pages 257-265,2009. Yao Ji, Chao Dong, Xiaojun Zhu, Qihui Wu. Hui Zhong, Xiaojun Zhu*(corresponding author), Bing Chen, Shiqing Shen. Xinshu Ma, Xiaojun Zhu*(corresponding author), Bing Chen. Jiaqi Zhen, Hong Xu, Xiaojun Zhu, Guihai Chen, Yanhui Geng. Feng Hu, Bing Chen, Xiaojun Zhu, Hong Shen. Muhui Shen, Bing Chen, Xiaojun Zhu, Yanchao Zhao. Yafei Mao, Chao Dong, Haipeng Dai, Xiaojun Zhu, and Guihai Chen. Wei Wei, Xiaojun Zhu, Qun Li. Xiaojun Zhu, Fengyuan Xu, Edmund Novak, Chiu C. Tan, Qun Li, and Guihai Chen. Xiaojun Zhu, Qun Li, and Guihai Chen. Huda El Hag Mustafa, Xiaojun Zhu, and Qun Li. "Efficient Median Estimation for RFID Systems." In Proceedings of CMCSN, Taiyuan, China, July 7-9, 2012. Lizhao You, Xiaojun Zhu and Guihai Chen. Xiaojun Zhu and Guihai Chen. Dijun Luo, Xiaojun Zhu, Xiaobing Wu, and Guihai Chen. ICDCS'14, IEEE CNS'14, MASS'13, GLOBECOM'12, WASA'12, ICDCS'10, IEEE Transactions on Wireless Communications, IEEE Transactions on Parallel and Distributed Systems, IEEE/ACM Transactions on Networking, IEEE Transactions on Industrial Informatics, SCIENCE CHINA Information Sciences, Ad Hoc Networks, IEEE Internet of Things Journal, European Journal of Operational Research.